We’re just 13 days away from Christmas Eve, and by now you’ve probably made your requests, dropped all your hints, and written your letter to Santa. Now it’s time to sit back and dream of all the cool stuff you’re hoping to find under your tree on Christmas morning. And maybe you’ll get everything you hoped for. But let’s face it, the odds are against you. Chances are you’ll just end up being bitterly disappointed, like always. Luckily, you’re a hockey fan, so you’re used to it. 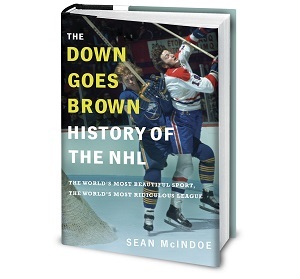 History is filled with examples of hockey fans getting excited about something that seemed like a lock to bring joy and happiness, only to be let down in the end. So to help you get in the right frame of mind for the holidays, here are five examples of hockey sure things that turned out to be massive disappointments. 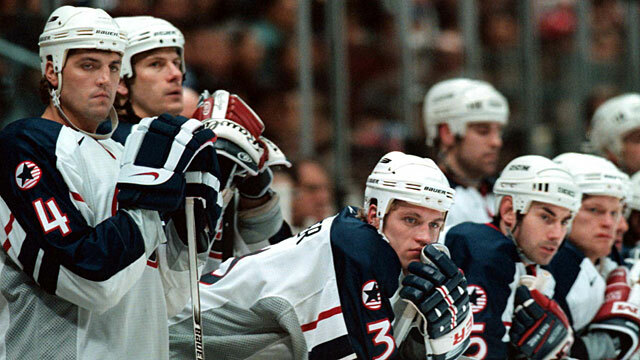 It’s hard to describe the level of excitement that most hockey fans felt heading into the 1998 Winter Olympics. For the first time ever, the NHL was taking a break to allow all the best players to compete. Oh sure, we’d had other best-on-best tournaments, like the Canada Cup and World Cup. But this was the Olympics. There were gold medals on the line. Or maybe not, because once you got past the novelty factor, the 1998 Olympic tournament stunk. And yes, that’s probably an indefensibly North America–centric view to take, given that both Canada and the U.S. finished out of the medals. If you’re from the Czech Republic, you remember Dominik Hasek leading the country to an unexpected gold medal while cementing his status as the best goaltender in the world, and maybe of all time. If you’re Russian, you remember Pavel Bure’s five goals in the semifinal. In you’re from Finland, you may recall Ville Peltonen’s third-period winner in the bronze-medal game. But the NHL sent its players to the Olympics primarily to drive up interest in the U.S., and from that standpoint, the tournament failed miserably. Team USA, just two years removed from a World Cup win, didn’t do anything memorable aside from trashing its hotel. Canada, meanwhile, lost to Hasek and the Czechs in a shootout that’s best remembered for coach Marc Crawford using a defenseman instead of Wayne Gretzky. North American fans would get their gold-medal showdowns in 2002 and 2010, and even Sweden’s win at the 2006 Games was plenty of fun. But the 1998 experience didn’t accomplish much of anything, other than reminding hockey fans that the late '90s were incredibly dull.